1. Why would you need to use a jack? Having the capability to lift anything expands your project’s potential whether it be a simple oil change underneath your car or lifting an entire movable trailer facility used typically in the construction industry for contractors to eat and meet in. You need a jack that is going to be able to support your needs and hold safely while you perform your work. You need to have complete trust and confidence in your jacks, and buying just any brand on the market is an unsafe thing you can do. That’s why when you are ever in need of any kind of lifting no matter the size, SPX Power Team offers you every jack style and type you can think of, that are made with unbreakable metal components that operate swiftly and steadily to give you the proper clearance that you need to perform the job. 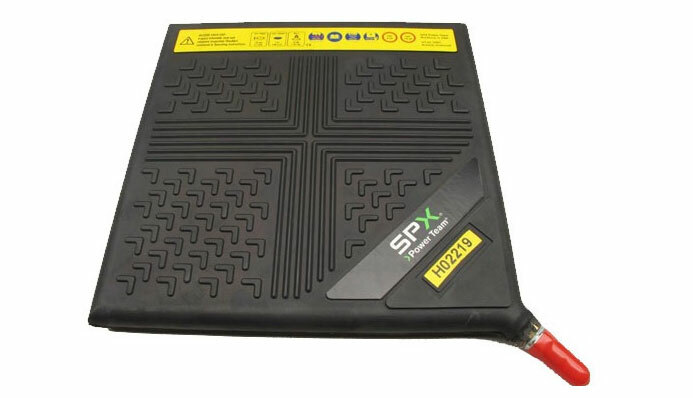 SPX Power Team is one of the most trusted brands out here today, and you need to understand that picking the right manufacturer for a device such as a jack can be a decision of life or death. Jacks are used when you are lifting up an object that weighs a lot more than your body can lift or if your object needs to stay lifted for an extended amount of time. Bottle jacks, are typically found in your vehicle, are used when you need to replace your flat tire or change out one of your fluids underneath. They provide a clearance of about twice their collapsed height, giving you just enough room to work. Given the minimal lifting height these types of jacks are only used for smaller jobs like the before mentioned car maintenance task or for any other relatively lower weight objects that requires minimal clearance. 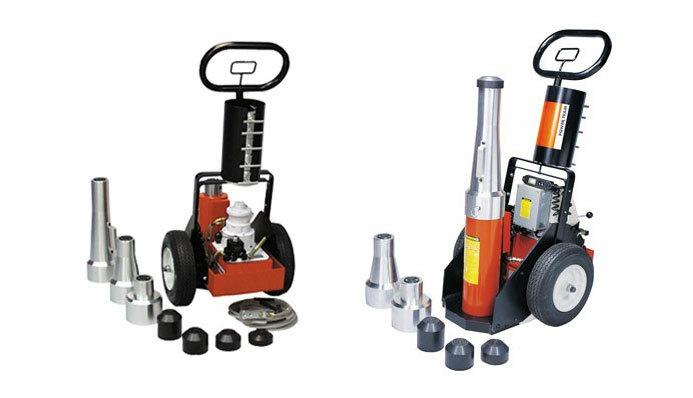 You simply place the jack underneath the object you need lifting and connect your pump handles together to create a large fulcrum, making it easy for you to rotate or pump the jack up to your desired height. A single piston inside works to push up the bearing that contacts your object square by use of the hydraulic power you create with your handle. 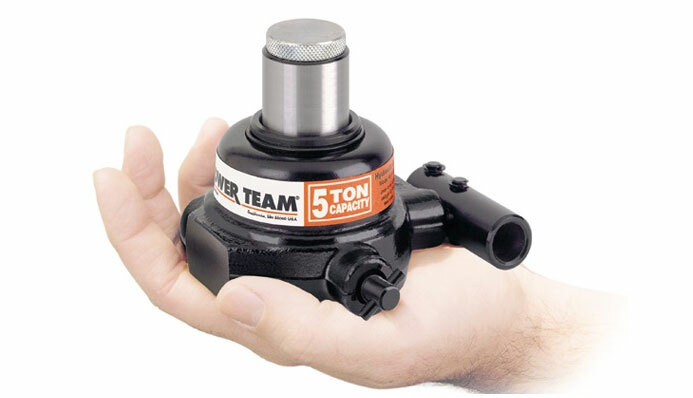 Bottle jacks are typically smaller than other jacks, but can withstand a large lifting capacity when you purchase an SPX Power Team Hydraulic Jack. When you go with a SPX Power Team bottle jack you can expect the following incredible capabilities that will make you wonder why you ever used any that hunk of junk sitting in your garage right now. 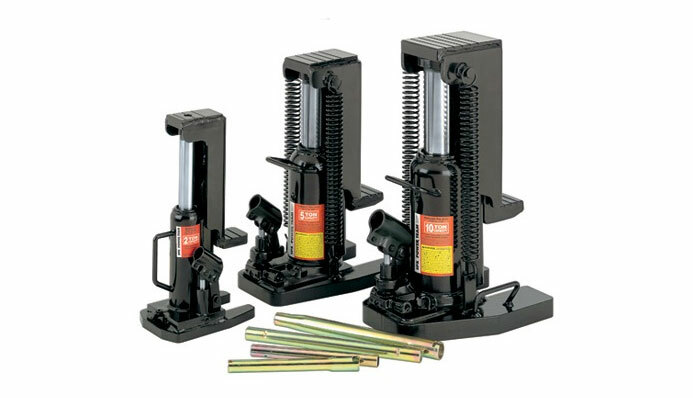 SPX Power Team Hydraulic Bottle Jacks come in various sizes with different maximum lifting capacities so that you can fill your project needs, no matter the size, because SPX Power Team offers specific types of enhanced models like these. Sometimes you are going to run into a lifting task that may seem impossible. The object you need lifted may have no standing clearance underneath it, making any jack you may be thinking of way too large to fit, even at its completely extended height. But do not worry, SPX Power Team offers a type of jack that can assist you in lifting any object no matter how low to the ground it may be. By using an inflatable jack you have the capability to pump up to about 75 tons of weight to an object that may almost sit flat to the ground. Inflatable jacks can be very useful when you need a large surface area pried open that is tightly compressed. You need to have full capabilities when you are lifting on the heaviest of objects, and when a traditionally styled jack doesn’t have the capabilities to even fit under your object to be lifted, you need should choose an inflatable jack. Inflatable Jacks resemble a medical water bottle but instead of filling the bladder with water you are filling it with compressed air at a required PSI of at least 115. The inflatable jack completely decompressed can fit underneath some of the smallest gaps for your lift. It is made of enforced materials that can withstand a PSI test of 175 before they are approved for sale. 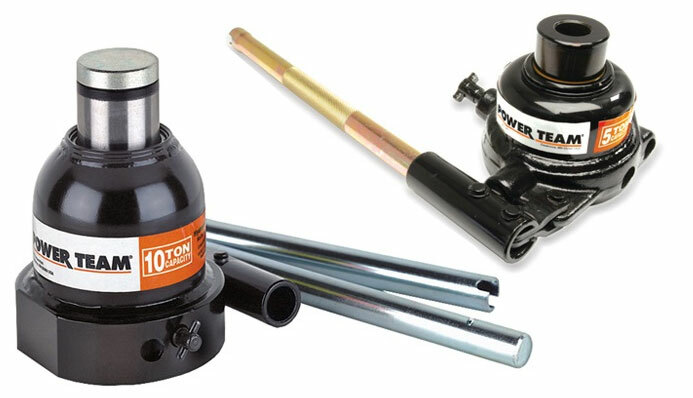 The bladder comes connected with an airline and valve, used to connect your air source or air compressor. The valve regulates the amount of air that is sent into the bladder while maintaining a safe flow rate. Adding too much air to an inflatable jack while it is under a load can create too much pressure compressing the bladder while too much air fills it, causing it to malfunction and possibly injure you or others around the work area. Inflatable jacks are highly useful when attacking all your lifting requirements efficiently and safely. However, using a poorly made inflatable jack can be ineffective, break easily, or cause your bodily harm. That’s why we suggest using a brand on the market today that you can trust and ensure that your job is getting done the most efficiently and convenient way possible - SPX Power Team. Toe Jacks are a versatile jack used in many different applications in many different industries and your very own garage. You can use it for heavy load lifting, lifting a forklift for service, or any other particular situation you may require. Toe jacks are shaped and formed like your typical bottle jack, and work to lift an object by hydraulic air pushing energy up against the singular piston inside the housing. The toe part of the jack is formed at a 90 degree angle and allows you to have a picking point for your lift from the side of the object you need lifted unlike other bottle jacks that require you to have the jack completely underneath your load before you begin to crank and create hydraulic pressure inside the crankshaft. What is beneficial about using a toe jack is that you can make a picking clearance for low and minimal picks or you can use the high angle on top of the jack for higher clearances that you need. You connect your handle together just like other bottle jacks and insert it into the handle port once you have squared up your jack to pick your load correctly with no slippage. The angled lips will help you when picking up aan object that can fit into the L shape flush by giving you a more complete pick for maximum lifting potential. By pumping the handle to your Toe Jack the internal pressure begins to build up causing the piston inside to raises as you pump more and more power into the jack. 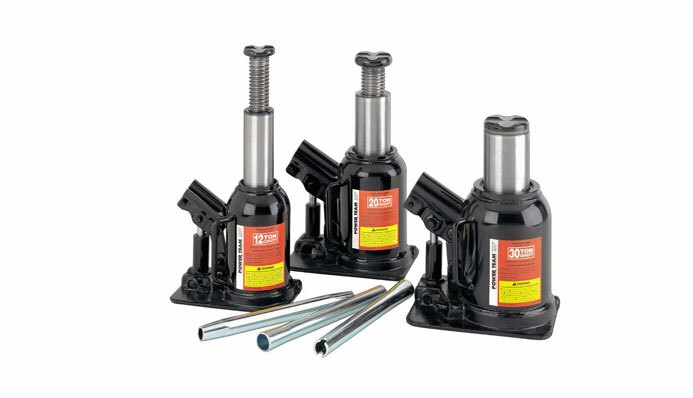 With a wide base, you can count on these jacks to firmly sit level on the ground for your safe lifting. They come with a spring that extends and contracts with your jack as you raise or lower it, and therefore will help hold your jack to at your desired position. Toe jacks can be a versatile life saver, when you are faced with a tricky job. Using them practically and logically will enhance your performance when lifting some of the toughest and heaviest objects. However, failure to buy a quality jack made of high quality parts that can withstand massive loads and to hold them while still functioning correctly, can cause your project to loses time and labor due to breakage, damage, or worse. SPX Power Team Toe Jacks are made with premium metal parts that can withstand any load that is within its rated lifting capacity. Hydraulic jacks can assist industrial workers, commercial workers and do it yourselfers” in so many ways, that we may have never thought possible. 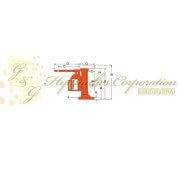 Compact sizes and even mini sizes allow you to lift any part of an object in almost any location. When you’re required to lift a heavy piece of equipment for servicinges, a simple bottle or toe jack like we have mentioned already, isn’t going to do the trick. These massive pieces of machinery require loading capacities that are behind the capabilities of other jacks. You need a rock solid jack that was forged together with highest of quality materials. Failure to do this can cause harmful dangers to you and others working around you. This is why it is so important for anyone that is going to use a hydraulic jack to understand the overall weight of the object they are lifting, and then to correspond that to the lifting capacities and functions of other various hydraulic jacks. 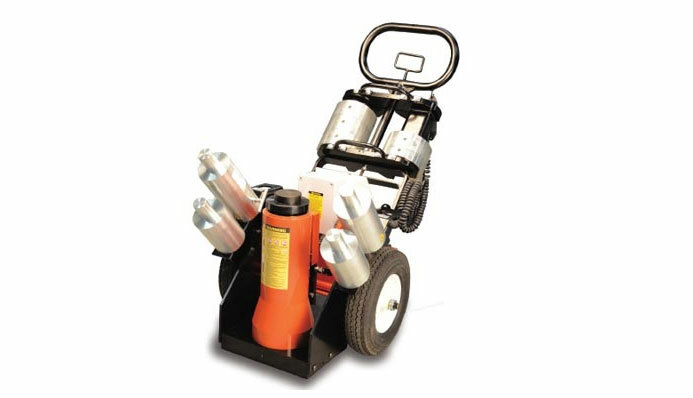 Heavy equipment jacks work like a regular bottle jack although it is built with larger material that is too heavy for you to carry and is therefore usually placed on a push cart to allow you to move it around your job site. Once set into place, lock your brakes, position your jack head to the proper picking point of your object, and begin to pump the handle up and down for nice and easy lifting. When coming back down, make sure all hands and feet are clear of the load and press the pressure relief lever usually found inside the main handle. This will release the built up pressure you created by pumping early and will cause the jack to collapse at your speed. 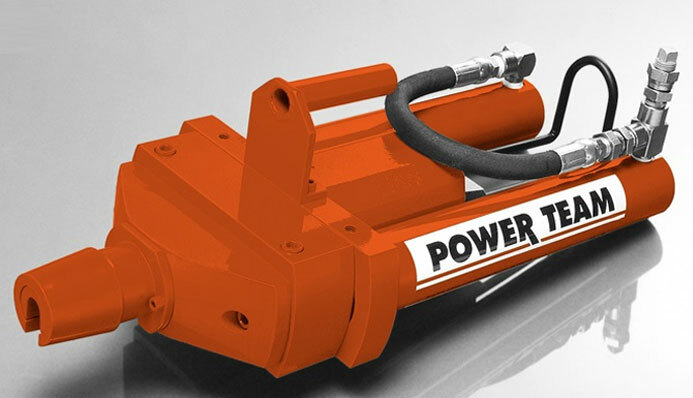 SPX Power Team offers an incredible hydraulic jack that is strong enough to withstand heavy equipment weights as like a full sized railcar can be. 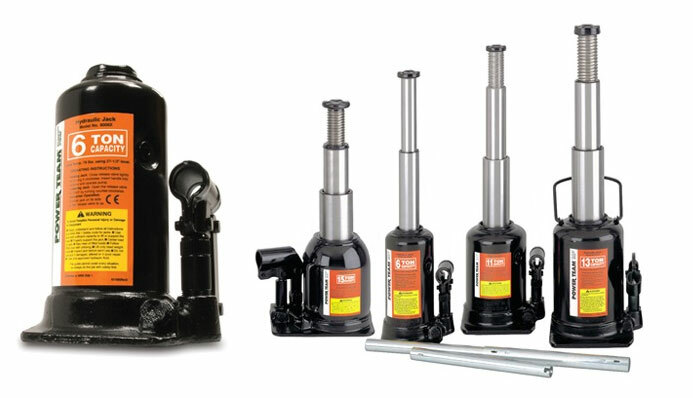 SPX Power Team provides you with these amazingly efficient jacks to choose from. 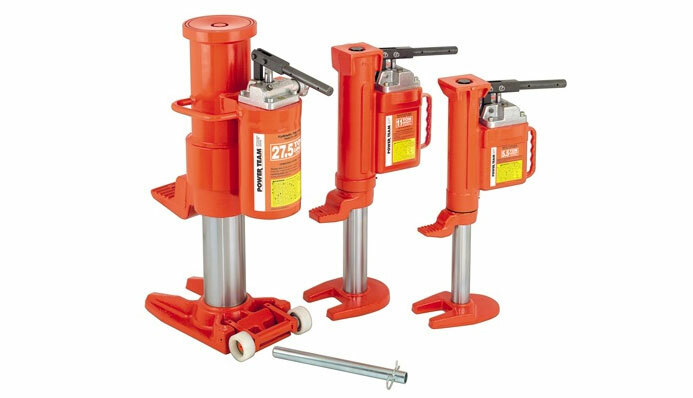 Hydraulic Jacks can be used from the smallest lifting jobs to some of the heaviest and most dangerous lifts required. When a railcar requires a servicing, and you need to add enough clearance to safely operate underneath it to service the car. You are going to want to use a Railroad jJack to properly lift the railcar effectively and safely. Bullet style railcars that are empty of any materials inside its cylinder can be some of the heaviest pieces of equipment you will come across. Forged and welded by some of the best welders in the world, these railcars must withstand any weather condition, any accidental roll off the tracks, and any catastrophic event so that the materials it is holding stay inside the cylinder with no leakage. The same goes for boxcars also having more open space, these rail cars can weigh just as heavy and require the same amount of service the bullet style do. You need a jack that is going to withstand these massive loads, that will stand its ground, and lift the railcar or object around that weight size for a long period of time, and you absolutely must have a jack this size that allows you to be mobile easily to position yourself and the jack in the safest location while trekking over the tracks and slopes on each side. SPX Power Teams portable railroad jack can do all of that and more and is the only brand you should ever trust for a job of this magnitude. Post tension or stress jacks are used in the construction industry mostly for concrete, masonry, and other structural elements. When using a jack such as this you are applying it for compression purposes rather than lifting a heavy object. When you have a concrete job that requires a pour of cement that will be the solid foundation to your overall structure, then you need to apply tension to the tendons that are ran throughout the concrete. These tendons are ran through the entire concrete slab contained by its form, holding the cement in place to dry in the desired shape. Once the concrete has cured and has completely dried, you place your post tension/stress jack on the concrete surface and connect it to the tendons. You then crank your jack to pull tension on these tendons until their maximum capacity. Once reached and the tension is applied throughout the slab, you can release your jack with the tension power being transferred to the concrete itself so that it has a much more solid foundation to hold up your structure, by already withstanding external force before your entire structures weight is applied to it. How a post tension/stress jack works in this process is by first placing your jack bearing up against the concretes anchor and pulls the steel to you to the required desired forced that is required. Once the jack pulls the tendons to your specified force, and the steel is stretched within the concrete, then you will have created compression against the concrete and anchored down the steel tendons to always hold that tension and force, to give your concrete projects durability that will last a lifetime. SPX Power Team is a company that offers something jacks for everyone who may need to lift, spread, or compress during the operations of their personal or large business projects. There is no lift that SPX Power Team Jacks can’t handle safely, efficiently, and just plain better than any other brand you may come across. Go with dependability, and keep yourself safer with SPX Power Team’s wide range of high performance hydraulic jacks. Hydraulic jacks have been around a long time. But even the passage of time and advances in technology won’t put them out of commission. If anything, modern technology has made them better, safer, and longer lasting. And nobody who runs heavy vehicles or machinery can do without one. 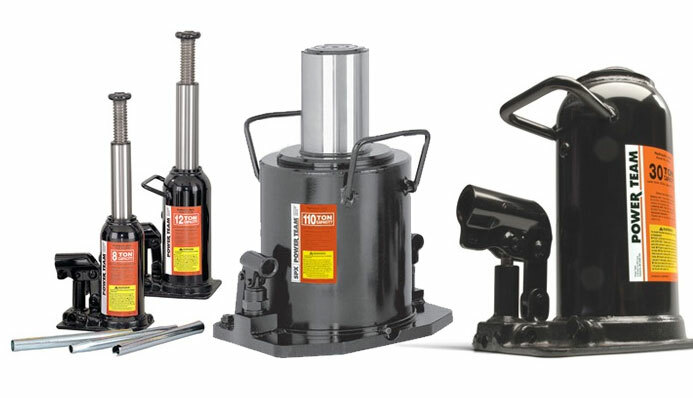 We have made sure there is the right hydraulic jack for you in our range, whether yours is a 2-ton delivery van or a 100-ton mining hauler truck. RJ100T37E-E SPX Power Team Jack, 100 Ton Railroad 37" Ret, Electric With Extension UPC #6625366..
RJ100T37E-C SPX Power Team Jack, 100 Ton Railroad 37" Ret, Electric With Crib Block UPC #662536..
RJ100T37A-C SPX Power Team Jack, 100 Ton Railroad 37" Ret, Air With Crib Block UPC #66253666423..
RJ100T24E-E SPX Power Team Jack, 100 Ton Railroad 24" Ret, Electric With Extension UPC #6625366..
RJ100T24E-C SPX Power Team Jack, 100 Ton Railroad 24" Ret, Electric With Crib Block UPC #662536..
RJ100T24A-C SPX Power Team Jack, 100 Ton Railroad 24" Ret, Air With Crib Block UPC #66253666419..
RJ-EXT9 SPX Power Team Assembly, Extension 9" 100 Ton Railroad Jacks - Accessories UPC #6625366..
RJ-EXT7 SPX Power Team Assembly, Extension 7" 100 Ton Railroad Jacks - Accessories UPC #6625366..
RJ-EXT5 SPX Power Team Assembly, Extension 5" 100 Ton Railroad Jacks - Accessories UPC #6625366..
RJ-EXT18 SPX Power Team Assembly, Extension 18" 100 Ton Railroad Jacks - Accessories UPC #66253..
RJ-EXT14 SPX Power Team Assembly, Extension 14" 100 Ton Railroad Jacks - Accessories UPC #66253..
RJ-EXT11 SPX Power Team Assembly, Extension 11" 100 Ton Railroad Jacks - Accessories UPC #66253..
RJ-EXT-S1 SPX Power Team Set, Extensions 100 Ton Railroad Jacks - Accessories - 5, 11, 18 UPC #66253..
PLE6014 SPX Power Team Heavy Equipment Jack Jack, 60 Ton, 14 Stroke, 110/115Vac, 50/60Hz UPC #66253..